Mushroom season is upon us, the best time of the year for that vegetarian umami goodness we all associate with a delicious hit of fungi flavor. With this in mind, we decided to bring you a basic guide on different types of mushrooms, helping you step away from the usual white button or Portobello mushrooms and try something a little different. 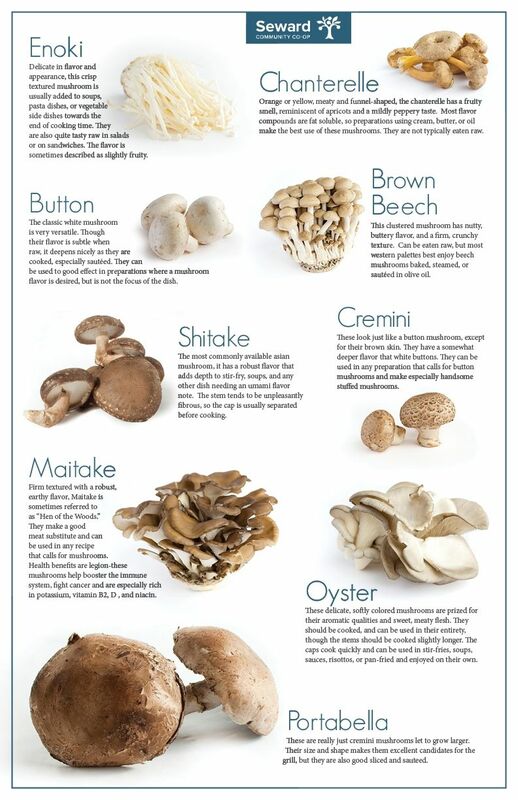 First up is a simple infographic from Whole Foods nine different mushrooms with notes on their taste. Following this we have another useful infographic by Buzzfeed on the universal rules of cooking mushrooms, with tips on how to sear, roast and saute different mushrooms from shiitake to to chanterelle. 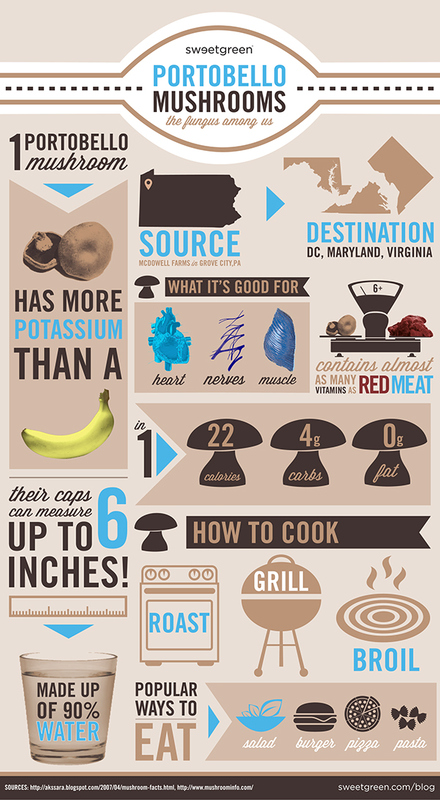 Because we know the Potebello mushroom is one of the most popular varieties and one that everyone will easily find in the supermarket, we’ve also highlighted this infographic from Sweetgreen that explains a number of different methods for how to cook Portobello mushrooms, a good mushroom for the BBQ. The final chart, from Seward Community Co-Op, is useful because it highlights some of the less popular mushroom varieties: Brown Beech, Enoki and Maitake. Buzzfeed has also created these useful tips on how to cook certain mushrooms and if you want to go even deeper, we also have a collection of video recipes showing Michelin chefs as they cook with mushrooms. A preview of the 'Cook It Raw' cookbook that will be released in April 2013.